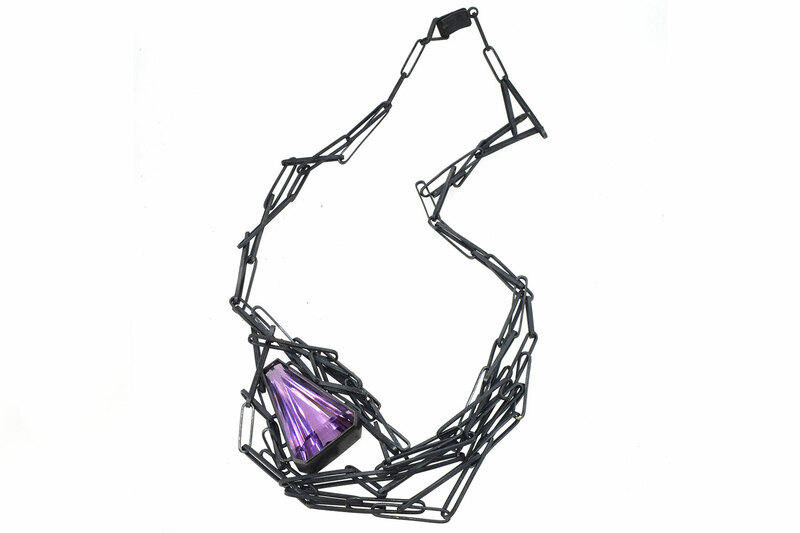 Chris Boland’s fascination of inorganic structure is used to inform his bespoke jewellery pieces. 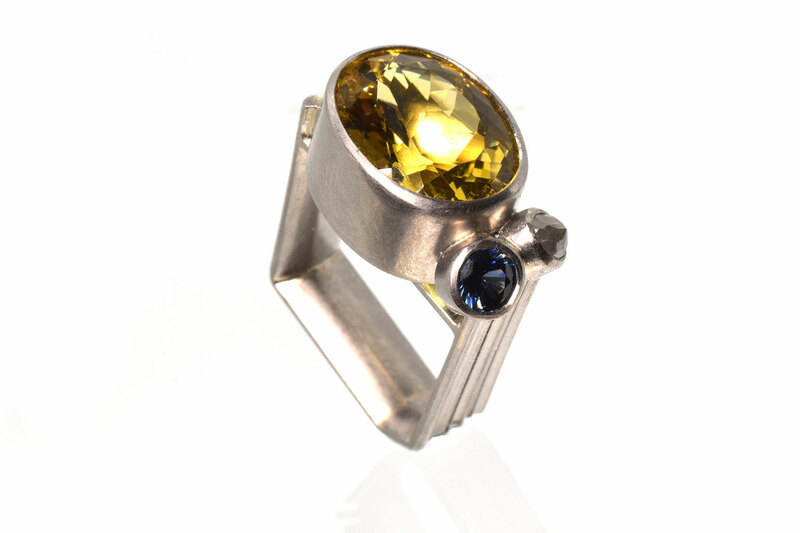 Strong, bold shapes stress the unique qualities of the inclusions of the gemstones. He draws inspiration from surface treatment of architectural metalwork and sculpture, where marks made during the construction of the work are allowed to remain or are emphasized. 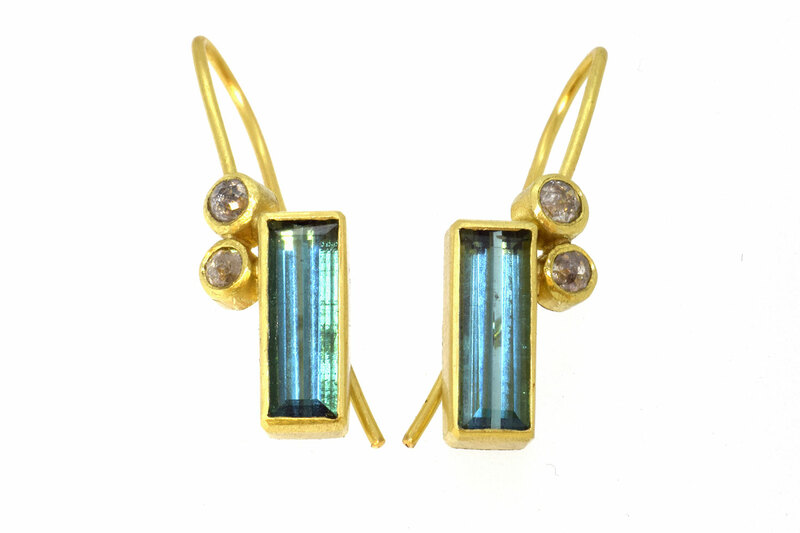 From conception, the jewellery is minimal and fundamental. However, through the construction process; complexity is built in to the piece from inaccuracies and layering. 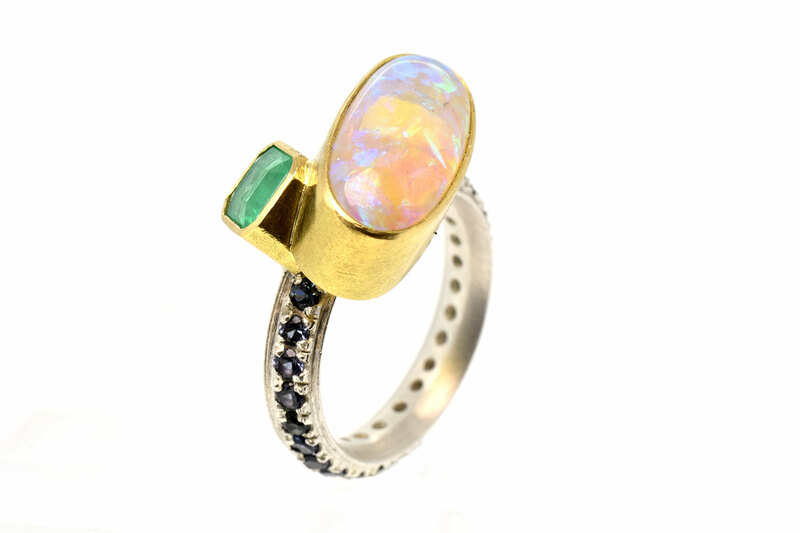 Always by design, the stone is offered up to the viewer, always in a pleasing and unusual way. The story of the gemstone is of fundamental importance in his work and so all the stones used are natural and untreated in any way. His belief is that it is important to tell the story of the stones using unique designs in metal.